March 1st, 2017 | Moving Tips. Few moves are as simple as just transporting your possessions from your current home to your final destination. Most moves require long periods of preparation and packing, specialized transportation, and lots of logistical planning. For many homeowners, storing some or most of their belongings during the moving process is a smart investment that simplifies the overall process. But where should you store your possessions? In this blog, we discuss when you may need a storage unit during a move and list five reasons why choosing a moving company that also offers storage options benefits you. When Do You Need Moving Storage? There is a gap between the end of your old lease and the start of your new lease. You have to complete renovations or cleaning tasks before you can start moving in. You need to move on short notice and do not have a new living situation arranged. You will not be able to travel on the same schedule as your belongings and so cannot be there when the movers arrive. Once you know you need to store your belongings during the transition, you must decide on a storage facility. Many moving companies, especially established national entities, offer storage options. 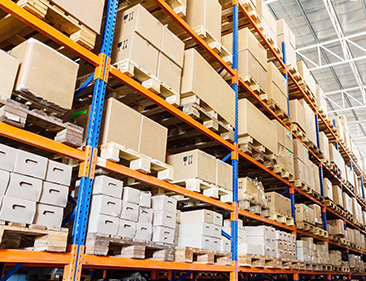 Some companies provide storage in a traditional facility, while others offer secure storage in a warehouse or truck yard. If the company provides warehousing style storage, they most likely keep your belongings in the pod or truck so you don’t have to worry about unpacking and repacking anything. Why Store Through Your Moving Company? Storing your items with the company that you’re moving with provides the following benefits. Perhaps the greatest advantage of completing this process with a single company is convenience. If you work with separate companies, you must coordinate with the moving team and with the storage facility. You have to make a more detailed schedule to ensure your items arrive on time. You will also have to work within the parameters of two sets of item storage restrictions rather than one. When you store with a reputable moving company, you already know most of the policies and already have most of the resources you’ll need. Combining these services allows you to keep track of one contract, estimate, and timeline rather than two or three. When you store with a different company than you move with, you may be responsible for unloading your belongings, organizing them within the storage unit, and even reloading them into the truck. Depending on your moving company’s policies, you may even have to transport your items from a drop site, like your future home, to the storage facility on your own. Some moving companies will not deliver items directly to a storage center. If you choose to store and move with the same company, any packing or unpacking is handled by experienced professionals. If you know that you will have to cover the cost of storage one way or another, storing with your mover can reduce the overall cost. Not only do you not have to account for the extra cost of storing your belongings on its own but you also won’t have to add on the cost of transporting your possessions from the storage facility separately. Many moving companies also offer package deals when you hire them for multiple services that can decrease your storage costs. When you work with multiple companies, you have to vet each business individually. If you have found a moving company that you trust that also offers storage options, storing with your mover saves you the trouble and anxiety of finding a reputable storage company. If you need to put some of your belongings aside in a secure space during the moving process, consider entrusting your possessions to the moving company that’s already handling them. Preparing for the moving and storing process? Trust Wheaton World Wide Moving for expertise and flexibility. Not only do we offer trusted and experienced moving services but we also provide short- and long-term storage options for even your most delicate possessions. Very nice blog about storage and moving.